A drunken altercation has resulted in one man being ordered to pay compensation for wounding. Keith Lewis was charged with wounding, after his actions resulted in scars to the complainantâs hand and forehead, a man he had known for 12 years. 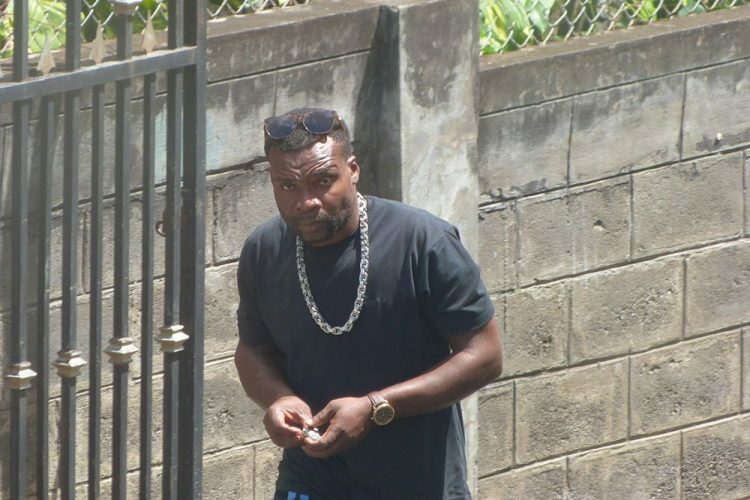 The case was heard in the Serious Offences Court on Monday before Chief Magistrate Rechanne Browne-Matthias. Lewis gave his version of the story, saying that it was simply a case of both men getting âhypedâ after drinking. He said they had got into an argument after drinking and he âfiredâ a bottle at Carr (the complainant), which shattered a bottle Carr was holding in his hand. He also said that, in the heat of the moment, he heard what he thought was a Chinese knife drop near him and he used it to stab Carr. Lewis said he ran after he stabbed Carr and that the whole ordeal happened because he was afraid of the complainant. He said that, to his knowledge, Carr was ânot an easy man,â that he was just defending himself and didnât mean to disrespect the law. Browne-Matthias found him guilty of the offence, saying, âWhether or not heâs a bad man or the King, we have to use a little more temperance.â She also advised him to drink less.